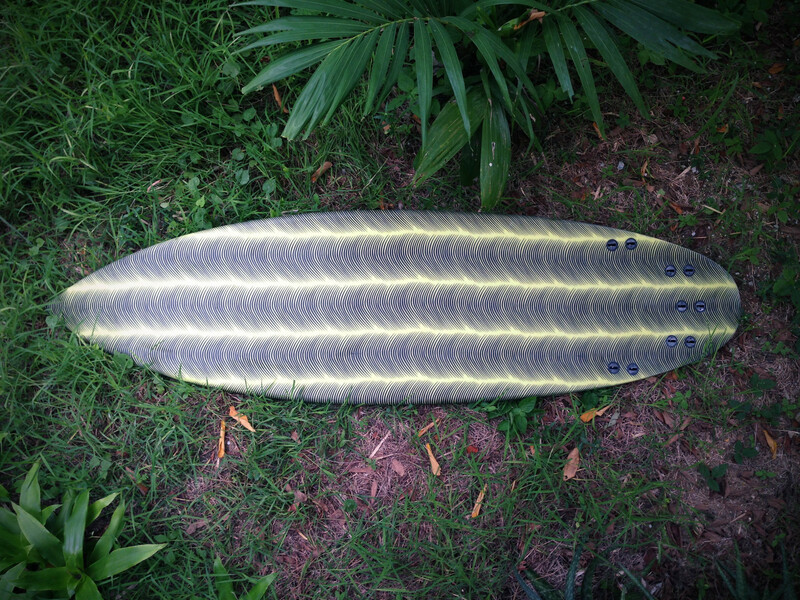 This is meant to be a replica of Alex's Rising Sun by T.Patterson, a board that works great for him but that turned a bit too old and hammered even with the strong glassing (not like the "modern" disposable sh..ings..). 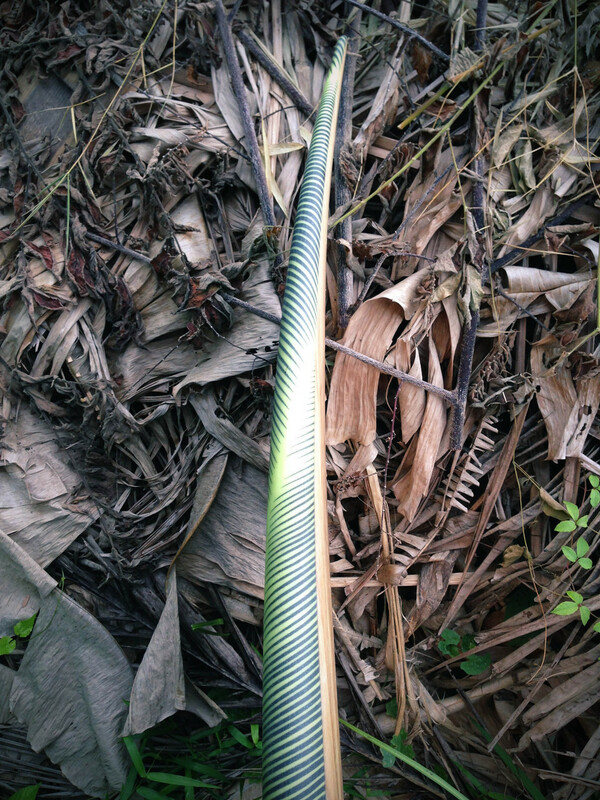 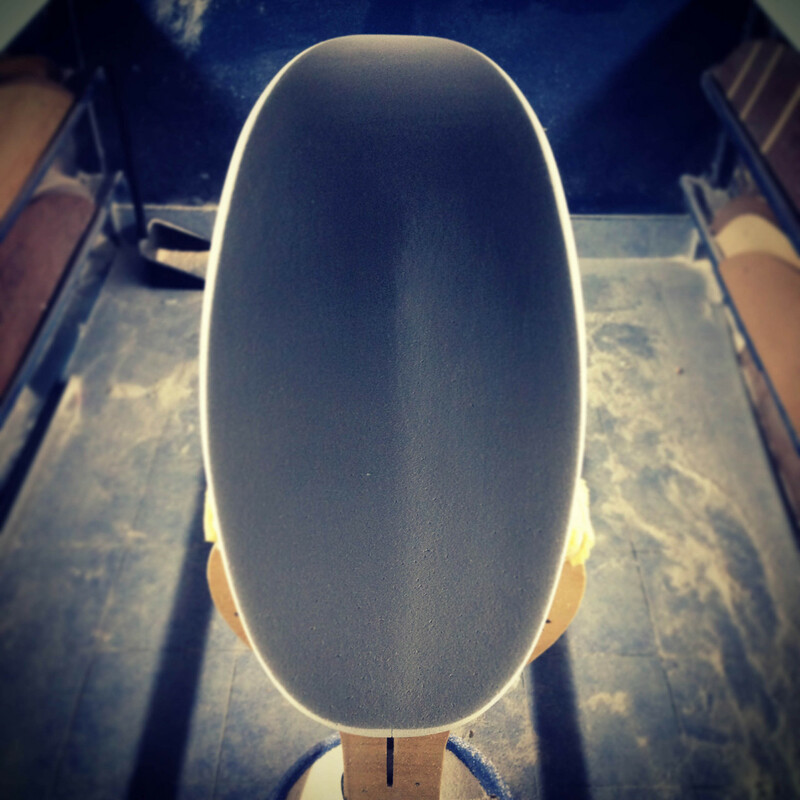 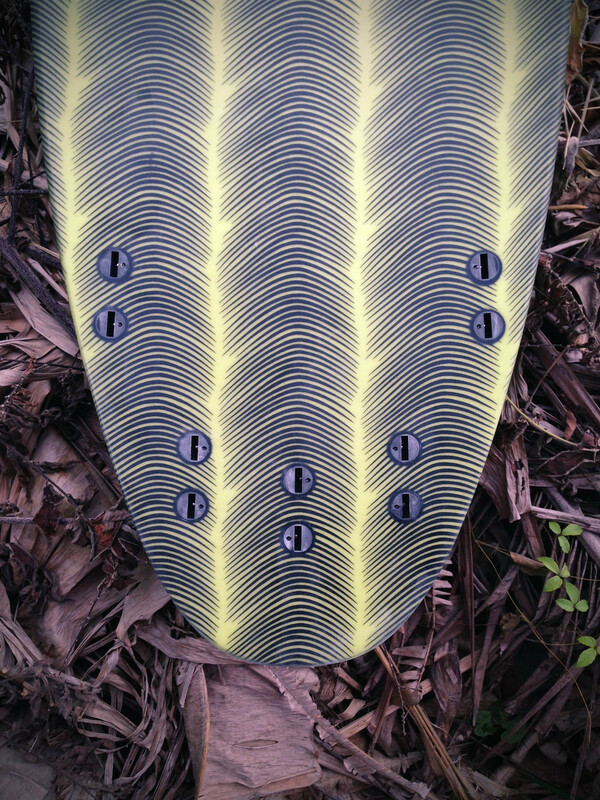 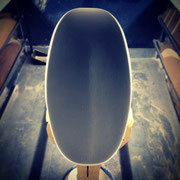 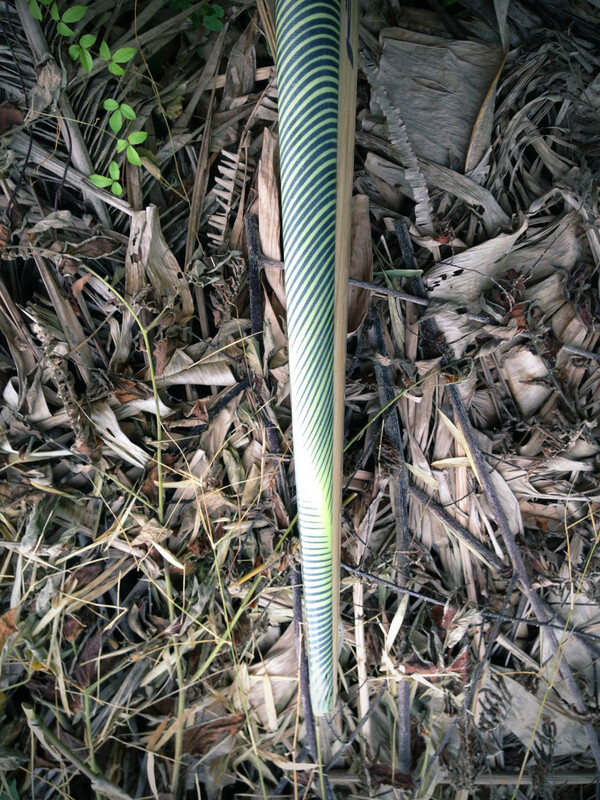 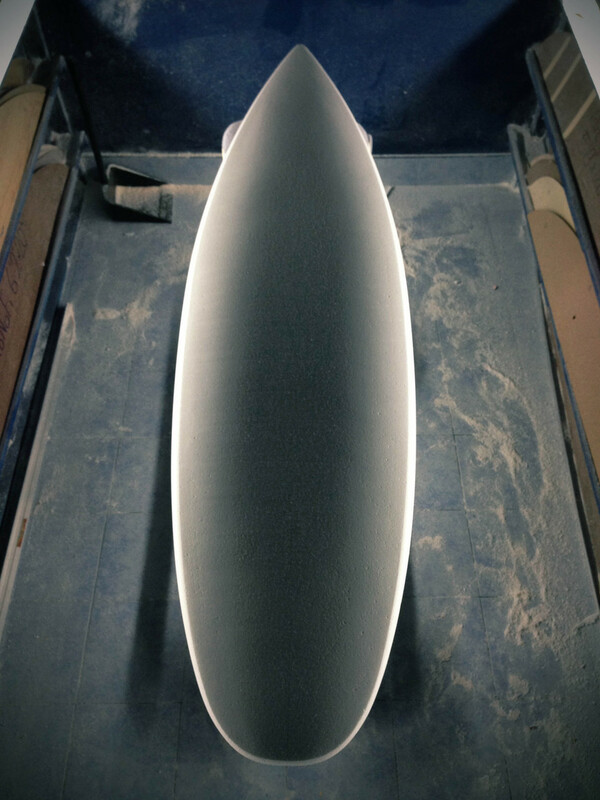 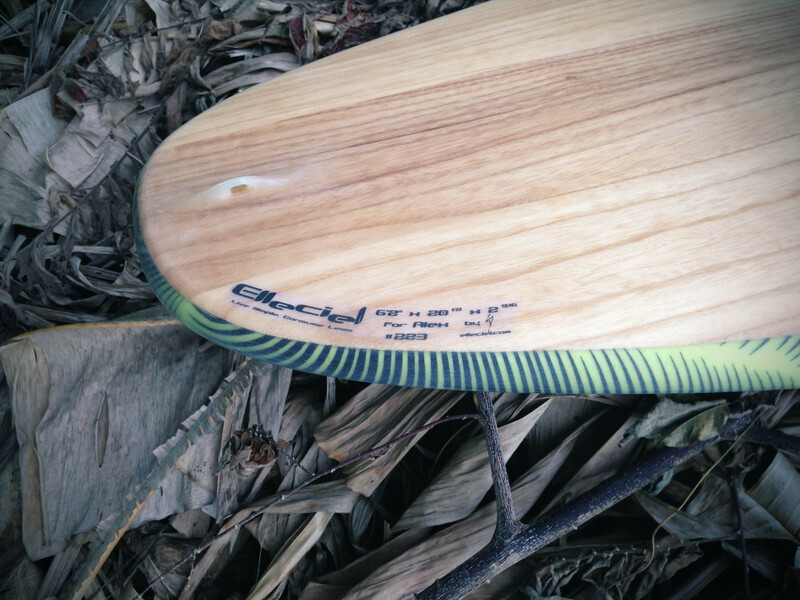 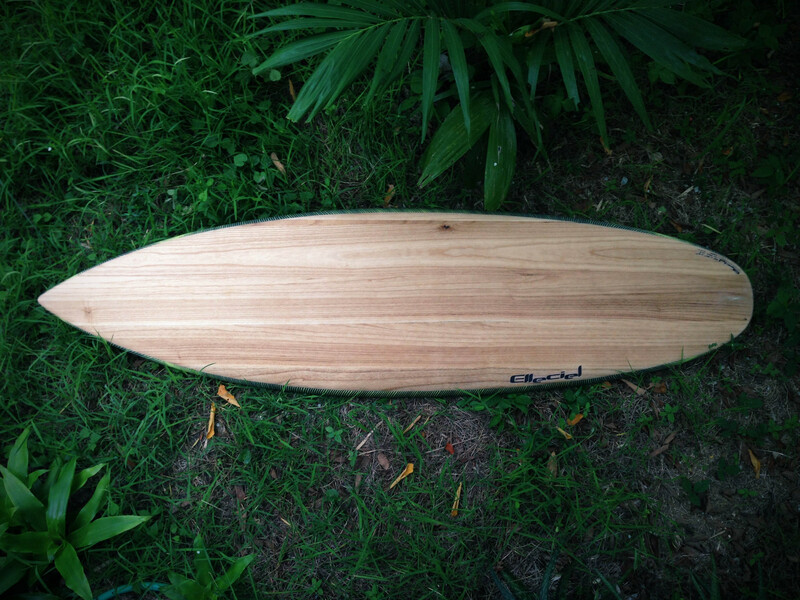 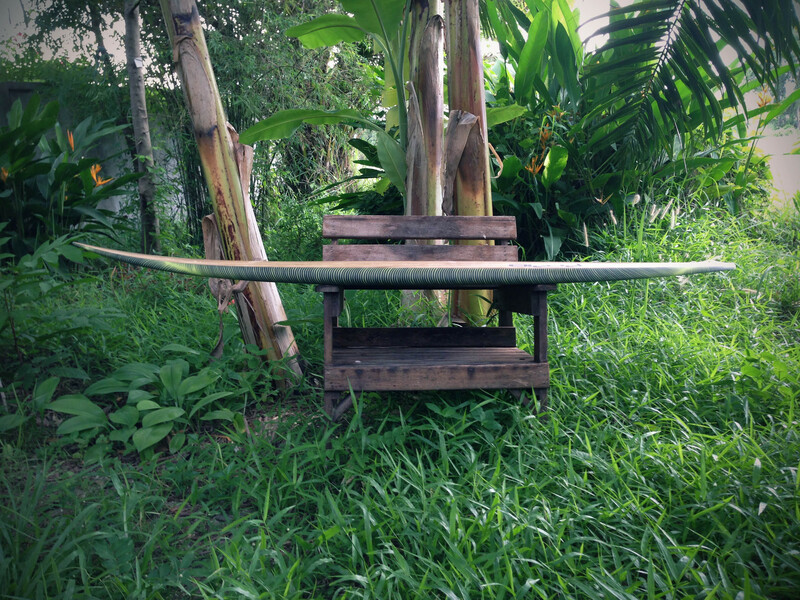 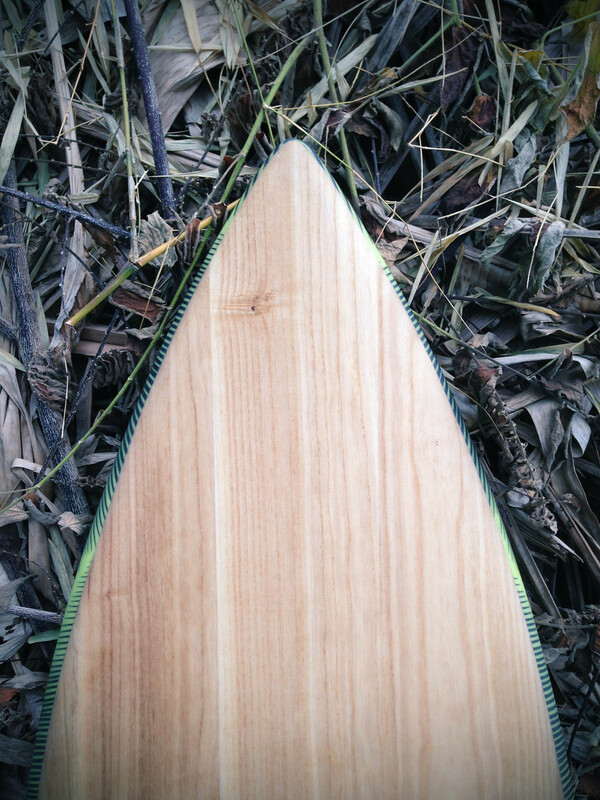 Belly to single to V double concave bottom with a five fins setup on cloth inlay. 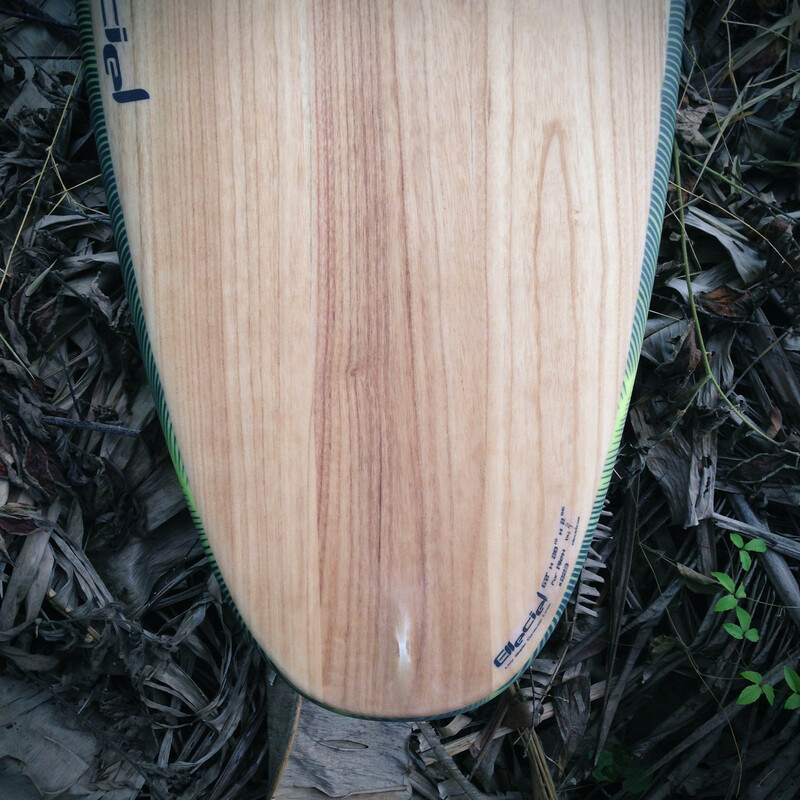 Paulownia wood deck. 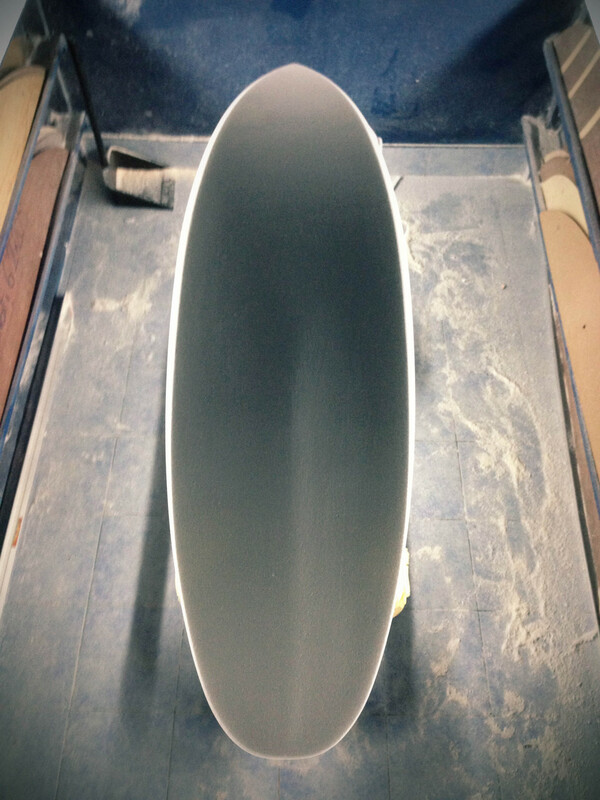 The result is about 300g lighter than the original and I hope it will last as long.